Published By Jerry Donnini, Esq. In 2012, West Virginia (home of MBNA) went after ConAgra Foods, Inc. ConAgra is a trademark holding company and wholly owned by a Nebraska subsidiary of CA foods. ConAgra held valuable trademarks and trade names from affiliated and unrelated entities such as Armour, Butterball, Healthy Choice, Kid Cuisine, Morton, and Swift, and licensed them back for a fee. With the recently decided KFC and MBNA on the back burner, West Virginia seemed destined to rule in the state’s favor on a seemingly similar transaction. Surprisingly, the West Virginia Supreme Court went the other direction. Similar to MBNA, ConAgra derived over $1 million in royalties for sales or products made in West Virginia. However, the court distinguished ConAgra’s business from that of MBNA because all of MBNA’s customers that resulted in West Virginia income were in West Virginia. Conversely, none of ConAgra’s customers were in West Virginia. Rather ConAgra licensed the trademarks to out of state manufacturers who sold the products into West Virginia through unaffiliated retailers. This case evidences the problem with an unpredictable economic presence standard. In my view, should it really matter where the customer is located? I thought in KFC and MBNA being that the income is being derived in a state beyond a certain monetary level showed systematic and continuous presence? Interestingly, the court then went on a rather lengthy discussion as to whether ConAgra merely placed its product in stream of commerce which is akin to a due process analysis in Asahi. The court concluded that ConAgra did not even satisfy due process requirements let alone commerce clause nexus standards. Taking the facts of Geoffrey, does this mean a clever tax planner can have Geoffrey license a trademark to another foreign licensing company, say Geoffrey II, and Geoffrey II license the marks to Toys R Us? Under a ConAgra analysis Geoffrey would then not be using its trademarks in West Virginia and therefore not have nexus. Certainly this cannot be the intent of the court. In my humble opinion, if one believes Geoffrey is correct, then the situs of the royalty income is what governs not where the company licensing the trademark is located. This strategy failed in Iowa in Matter of Jack Daniels Properties, Inc. and Southern Comfort Properties, Inc., Docket 09 DORFC 002; 004 (Iowa Dept of Inspection and Appeals 2012). 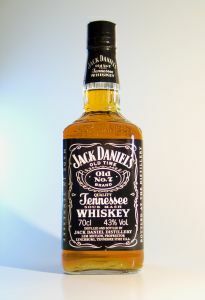 In this case, Jack Daniels Properties and Southern Comfort transferred its trademarks to a company in California and the trademark company charged a fee to use the trademark in connection with its liquor production. Neither company had physical property or employees in Iowa. The factual distinction between the two entities was that Jack Daniels through the use of intermediary company allowed Brown to market licensed products of Jack Daniels while Southern Comfort did not. While it is nearly impossible to reconcile the opinions, what is apparent after the recent litigation is that the layered-subsidiary approach may work in West Virginia but will not work in Iowa–that’s about it. About the author: Mr. Donnini is a multi-state sales and use tax attorney and an associate in the law firm Moffa, Gainor, & Sutton, PA, based in Fort Lauderdale, Florida. Mr. Donnini’s primary practice is multi-state sales and use tax as well as state corporate income tax controversy. Mr. Donnini also practices in the areas of federal tax controversy, federal estate planning, and Florida probate. Mr. Donnini is currently pursuing his LL.M. in Taxation at NYU. If you have any questions please do not hesitate to contact him via email or phone listed on this page. Copyright © 2016 – 2019, Jerry Donnini, Esq.